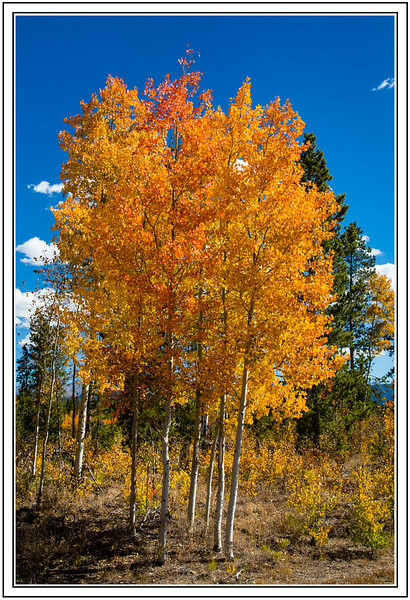 Rand, CO - Near Lake Ruby - Fall Color Link to Photo Without Frame Thank You for Making this Daily Photo Tied for the # 2 Pick on 01-29-2018. Lovely shot. I miss those Aspen groves in Colorado. I love it when the aspens get SO yellow they are almost red. Beautiful.